Donnacha Ryan and Devin Toner celebrate Ireland’s victory over the All Blacks in Chicago. 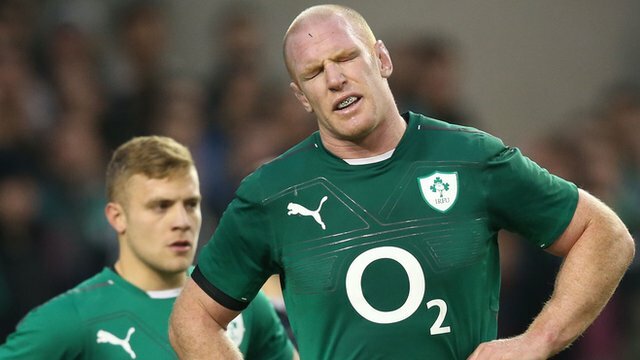 They’re neither the most complementary second row partnership that Ireland have fielded in the professional era, nor the most individually talented locks, but they’ve succeeded where more illustrious pairings have failed. 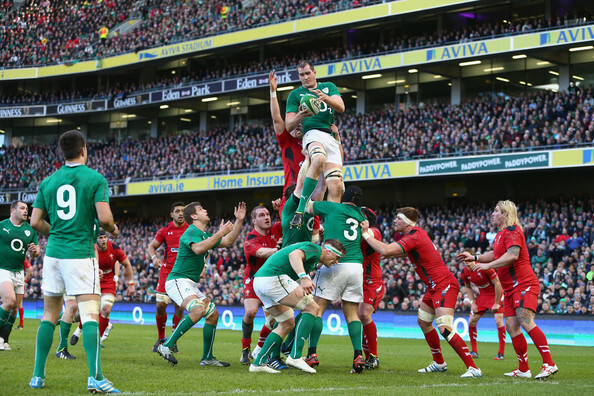 Devin Toner goes high to claim one of the six lineouts he took against Wales. The lineout was the most important set-piece of the game, and dominance in the air paved the way for a resounding Irish victory. Paul O’Connell’s expression says it all. Ireland were seconds away from a first win over New Zealand in the history of games between the two countries, but it was snatched out of their hands. 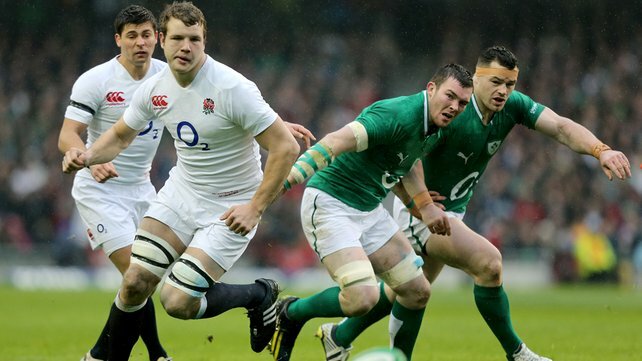 Not an oul fellah in sight: Ben Youngs, Joe Launchbury, Peter O’Mahony and Cian Healy are four youngsters who will have big parts to play over the coming decade in these clashes. The torch has been well and truly passed in England, and Ireland have some catching up to do. Roger Wilson bursts through a gap for Northampton. The two-time Ulster Player of the Year has returned to his home province, having spent four busy years with the Saints. It will be interesting to see if his performances in the white No8 jersey can push him forward for international contention, or if there’s too much track worn off the tires. Roger Wilson: since making his debut for Ulster as a 21-year old in September 2002, the Belfast-born No8 has played an enormous amount of professional rugby. 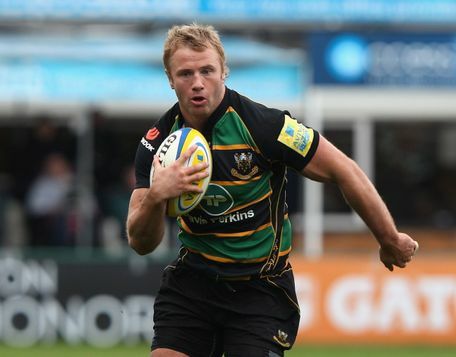 In five seasons with Ulster he played 116 games [101 starts] and since moving to Northampton at the end of the 2007-08 season he hasn’t let up, playing 117 games [108 starts] for the Saints. In total, he has played 46 Heineken Cup games, all but one of them from kick-off.